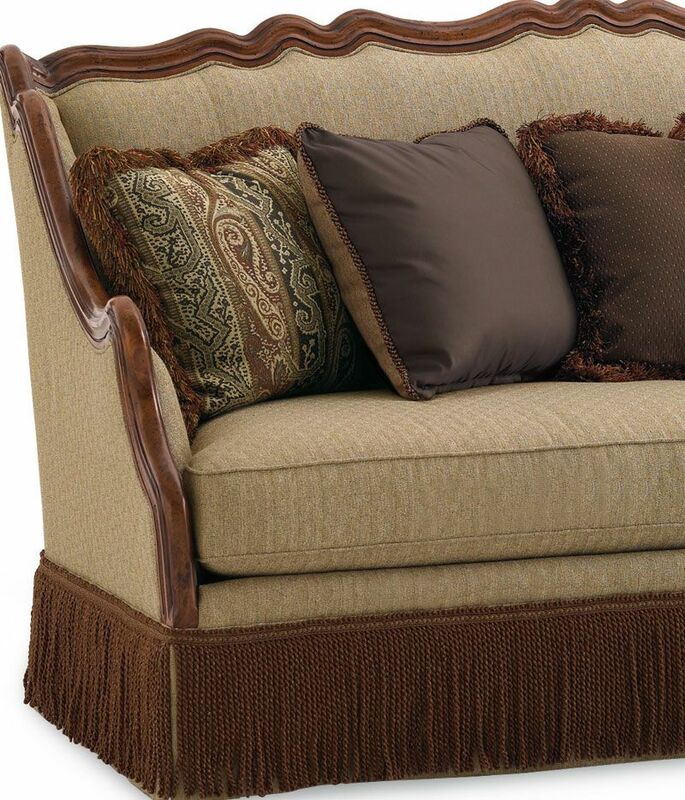 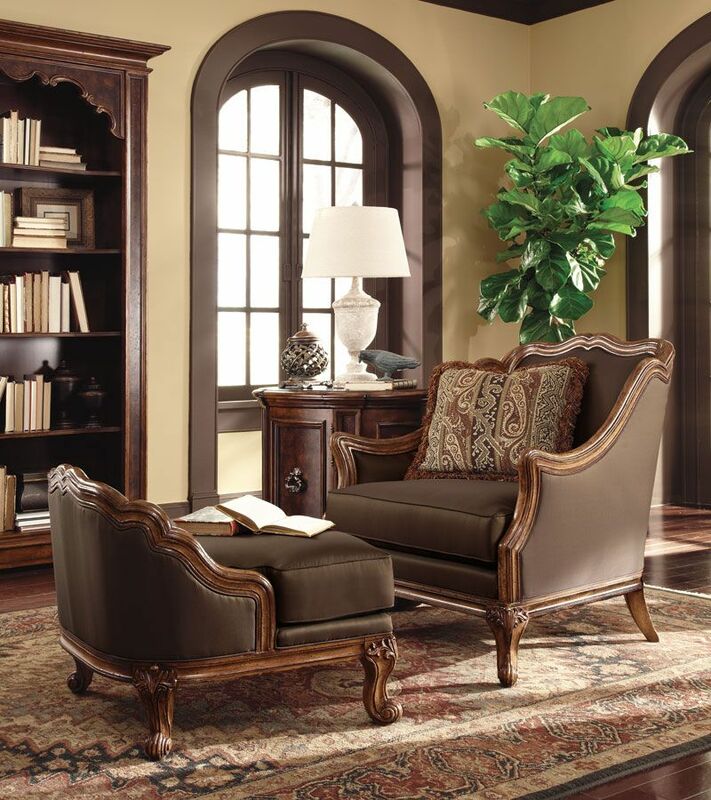 Click the button below to add the ARIES-DESIGNER'S OLD WORLD WOOD TRIM CHENILLE SOFA COUCH & CHAIR SET LIVING ROOM to your wish list. 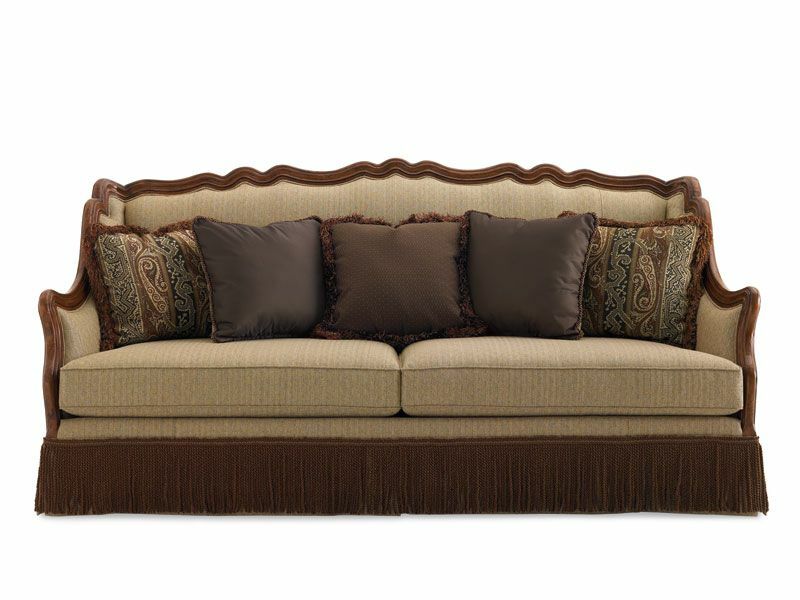 The elegant exposed wood frame sofa finished in Aged Amaretto, features a beautiful bullion skirt with reversible pillows. 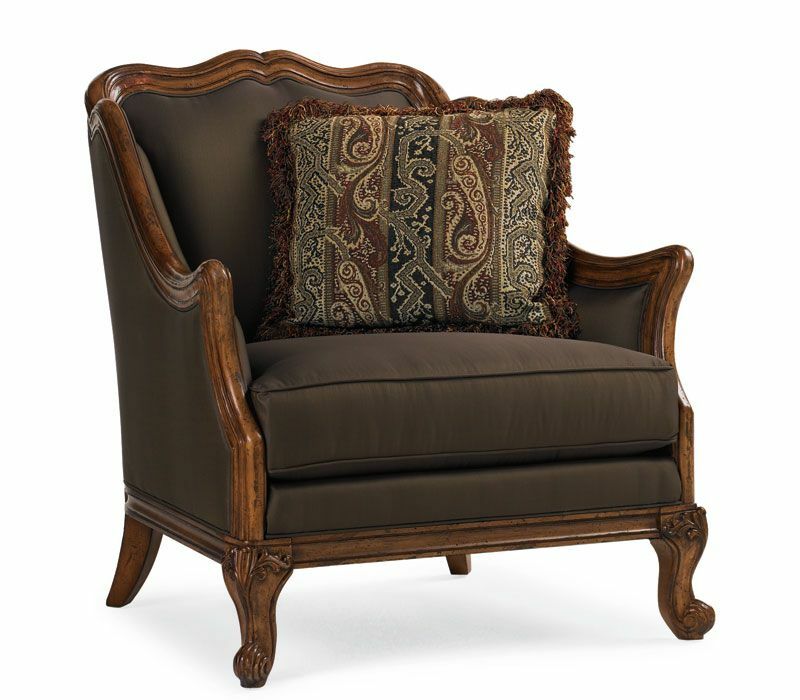 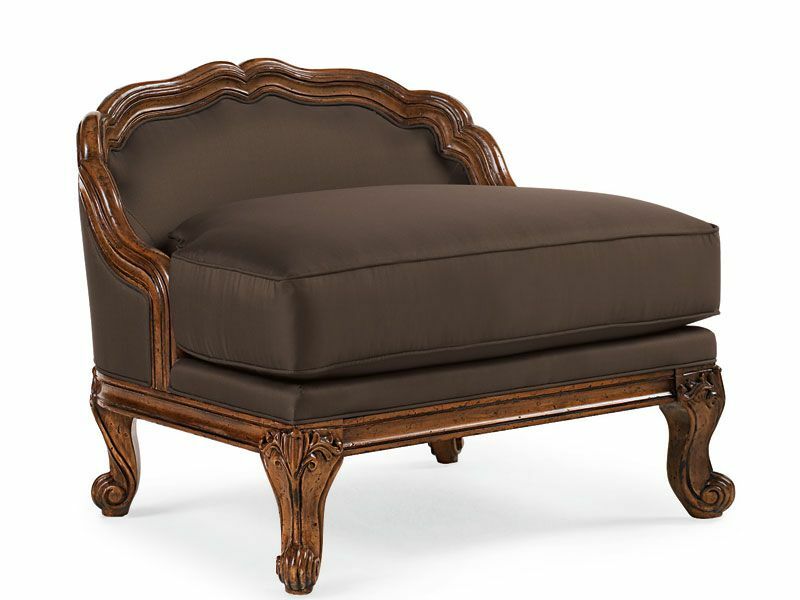 The uniquely elegantly carved wood frame is finished in an Aged Amaretto and can be used as a chaise by accompanying it with the matching ottoman.